The 1670TTSST Blur features a tiger stripe coated Sandvik 14C28N steel tanto blade with a partially serrated edge and a black anodized 6061-T6 aluminum handle with Trac-Tek inserts for superior gripping power in all conditions. Black reversible pocket clip for tip-up or down carry. 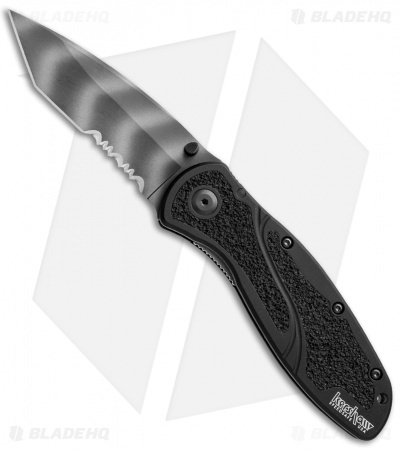 The Kershaw Blur is a favorite among knife enthusiasts. The Blur has the build and performance of a tough all-purpose knife with requisite everyday carry friendly attributes as well. The Ken Onion designed Blur is an assisted opening knife, just give the blade a push with the ambidextrous thumb-stud and the Speed Safe technology finishes opening the blade! 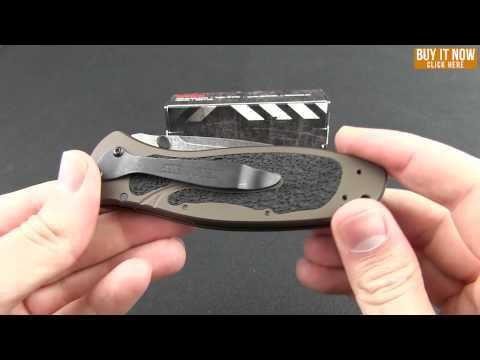 To close, just slide the liner lock to release the blade. 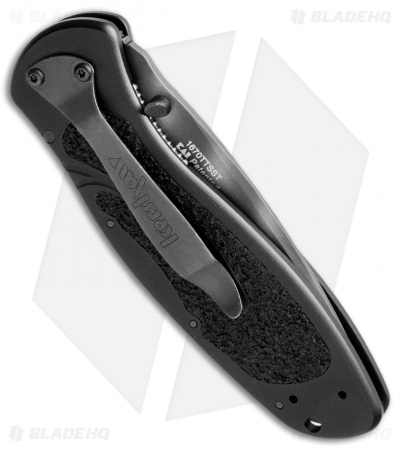 Get a Kydex sheath for the Kershaw 1670 Blur knife, click HERE! Love my Blur. This is a fantastic hard use, rough and tumble knife. Boy is it fast. This thing is as fast and maybe even a little faster than a couple of my automatics. Its also fairly easy to dissemble if your in to that. Kershaw by far does the best serrations of any knife; and thats saying something since 90% of my knives are plain edge. Steel choice could be improved but then you wouldn't be getting as great of a price for an American made knife and the steel wouldn't be as easy to sharpen. 14C28N does take a fantastic edge but won't hold it like other steels. I love the grip texture. This guy will not slip out of your hand. Also the tanto, will give this one heck of piercing tip. All in all this is great $50 option.